The Caribbean Island of Roatan is famous among scuba divers for its huge variety of coral and sponges. It’s location on the Mesoamerican Barrier Reef, the second largest reef system in the world, makes it a world renowned dive destination! Our pristine, private dive sites are just minutes away from our dock. Subway Watersports, a PADI 5-Star Resort and Instructor Development Center is located on the unspoiled north east side of Roatan at Turquoise Bay Dive & Beach Resort, away from the hustle and bustle of the islands west side. 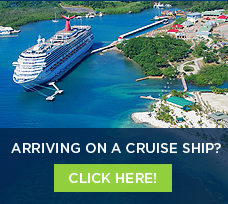 We cater to many hotels and vacation rental homes as well as cruise ship visitors and day guests. When diving with us you will enjoy the individual and personal service of valet diving. We specialize in tailored scuba diving meeting each particular group’s needs and requests and a PADI Divemaster guides all dives. We do multilevel dive profiles with 60 minute dive times and we take divers out in small groups per guide. The dive boats leave daily at 8:45 am, 10:30 am and 1:45 pm. We usually do one night dive per week and for scheduled groups, we offer a two-tank morning dive with no return to the shop, if requested. Because the north east side of Roatan is sparsely populated and only has few resorts and dive operations, our dive sites are uncrowded and private. Because we have some amazing dive sites very close by, we come back to the dive shop for our surface intervals, or we can stay out for a two-tank dive if your group prefers. When we go to some of the further dive sites we do a two-tank dive in the morning and one tank in the afternoon. Please remember to bring all necessary certification cards with you. 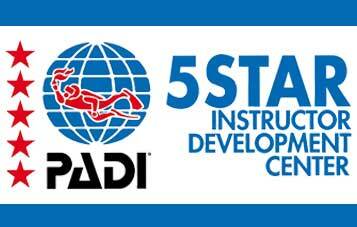 We can check some certifications online but if your certification cannot be found, we will not be allowed to let you dive. Experience something new with one of Roatan’s best dive shops, Subway Watersports, a PADI 5-Star Resort and Instructor Development Center.